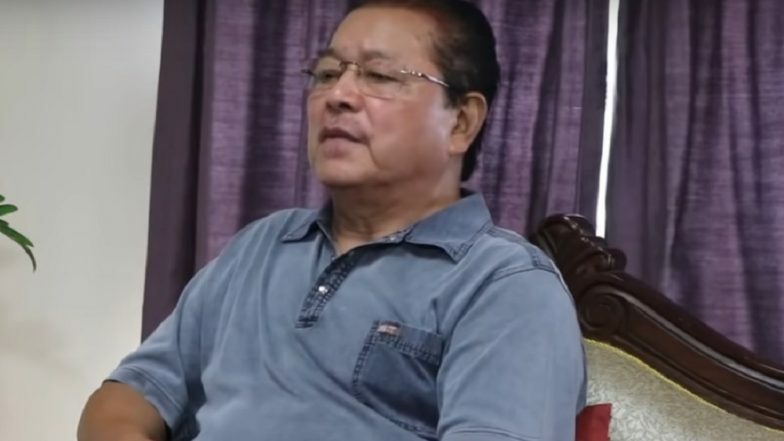 Aizawl, March 22: The opposition Congress in Christian-majority Mizoram Friday accused the ruling Mizo National Front (MNF) of having a "secret understanding" with the BJP which is trying to establish a "Hindu Kingdom" in the country. "Though the MNF had denied having any relation with the BJP and openly opposed the Citizenship (Amendment) Bill, it has a secret understanding with the BJP. It is a part of the NDA and the NEDA," State Congress president and former chief minister Lal Thanhawla said. The BJP-led North East Democratic Alliance (NEDA) is a political platform of anti-Congress regional parties. Addressing a party workers' meet here, Thanhawla claimed that the BJP's hidden agenda to set up a "Hindu Kingdom" was clear by the introduction of the Citizenship (Amendment) Bill and the saffron party's desire to impose the Uniform Civil Code which is nothing less than enforcing the Hindu way of life. Mizoram CM Lal Thanhawla Fails to Submit Nomination Papers in Home Turf Serchhip. The Citizenship (Amendment) Bill that sought to provide Indian citizenship to non-Muslims from Bangladesh, Pakistan and Afghanistan was passed in Lok Sabha but was not be tabled in Rajya Sabha. It is now destined to die a natural death. The Congress's accusation of the MNF having a tie-up with the BJP came up again before the Lok Sabha elections. It had levelled similar charges ahead of the assembly election in the state last year. The Lal Thanhawla government was ousted from power by the MNF in that election. Polling for the lone Lok Sabha seat in the state will be held on April 11. MNF nominee C Lalrosanga has already filed his nomination while Independent candidate Lalhriatrenga Chhangte submitted his papers Friday. The BJP announced its candidate, the party's state unit vice-president Nirupam Chakma, Thursday.